Hey listen! The Raspberry Pi boasts an impressive number of cases, both official and unofficial. However, one of the most legendary Raspberry Pi case DIY (do-it-yourself) mods dropped. 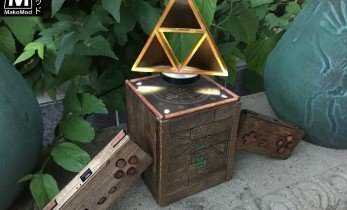 This Zelda case mod complete with a levitating triforce is truly impressive, and the perfect RetroPie companion.